It is our pleasure to bring your notice on the following Terms & Conditions incorporated with our website at www.achieversrule.com , www.exam360.in , Exam360 Android App which are essential to be bound and abide by all the Users/ Visitors, Who desire to accompany with our services. May please go through the Terms & Conditions carefully before using these Platforms - www.achieversrule.com , www.exam360.in , Exam360 Android App and its services. By using this Achievers Rule website at www.achieversrule.com, Achievers Rule Online Store at www.instamojo.com/achieversrule/ or using any part or unit of the site or any content or services provided by Achievers Rule or Exam360, you must agree to be bound by all of the terms & conditions of this Agreement. If you do not wish to be bound by these terms & conditions, you may not access or use Achievers Rule or EXAM360 or using any part of the site or any content or services of this Site. However, you agree to review the terms & conditions periodically to be aware of any such modifications and your use of the Achievers Rule or EXAM360 shall be deemed your conclusive acceptance of the modified agreement. Achievers Rule or EXAM360 is a Competitive Exams Based online information, study materials & books providers for various exams like Bank, SSC, Railway, State PSU exams, Insurance, NDA, etc. We Achievers Rule or EXAM360 provides its service to you subject to the following terms. 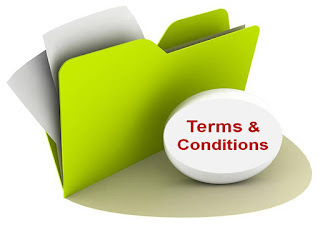 This Terms & Conditions may be updated by us without any prior notice to Viewers/Readers/Users/Advertisers. However you can review these updated Terms & Conditions in our Achiever’s Rule Website. By using the Achievers Rule or EXAM360 Website you must agree to be bound by all the Terms and Conditions set forth here. Achievers Rule or Exam360 Android App is an open database platform with the main intent to provide Study materials to our Government Jobs Aspirants. The contents in Achievers Rule website are either solely made by our support team or collected from any other sources (which we specifically mentioned from where it is taken/source of the contents). While preparing these contents or information for our aspirants utmost cares are taken, while we do not guarantee you about the completeness, reliability, accuracy of the information and complete error free material and we won’t take responsibility of those. We urge our viewers to review those wrong contents if any to us through E-mail. We will take care to correct them accordingly. However viewers can use third-party contents of our Website at their own risks, We Achievers Rule or Exam360 Android App did not take any responsibility regarding right, ownership or trade mark of third party contents. Achievers Rule or Exam360 Android App reserves the right to make changes in the Policy or Contents of this Website anytime and without any prior notice. And such modifications shall be effective immediately upon posting of the modified agreement on the site. Any action you take based upon the Contents/information you find on this website is strictly at your own risk. However Achievers Rule or Exam360 will not be liable for any losses/damages/consequences that might occur due to some incorrect contents or information in this website. However, you can access this information solely at your own risk. Achievers Rule or Exam360 will not take any responsibility of third party contents. 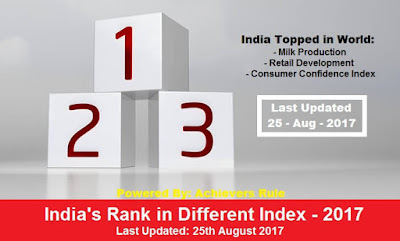 Any contents share by our visitors without prior permission of Achievers Rule or EXAM360 will be considered as third party content. The Paid content are solely made by our Experts or by 3rd Party Reputed Author / Publisher / Platforms, While preparing these Contents/Information for our aspirants utmost cares are taken while we do not guarantee you about the completeness, reliability, accuracy of the information and complete error free material and we won't take responsibility of those. We urge our viewers to review those wrong contents if any to us through E-mail at info.achieversrule@gmail.com. We will take care to correct them accordingly. However Achievers Rule or Exam360 will not be liable for any losses/damages/consequences that might occur due to some incorrect contents or information in this website or in any Paid Content. However, you can purchase our content from our online store solely at your own risk. While purchasing any product or service from this website, User must provide error free credentials such as User Name, Email Id, Phone Number, Personal Address, etc. correctly because this credentials will be used for their Billing or Shipping Purpose, or may be used for Refund at Exceptional Cases, failing to this will not take any responsibility and no refund will be initiated at any circumstances. While making payment you must be 100% sure that you want to pursue it and you agree the Terms & Conditions. 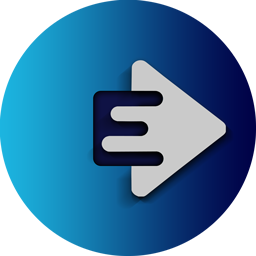 While making any payment for any particular product we request all users to give proper credentials like Active Mobile No, E-mail, Name, Address, Etc. Though Achievers Rule Team working hard to make error free content, However Achievers Rule or EXAM360 will not take any responsibility of the factual errors (if any) and users will not request for refund after purchasing of any product due to any types of errors. Achievers Rule or EXAM360 is not obliged and legally bound if any personal losses/ damages/ consequences happened to its users due to these errors. Achievers Rule or EXAM360 will try their best to provide or to give delivery of the services or purchases within 3-7 days from the date of purchase, but there may be some delay in service due to courier related issues and user cannot request for refund if any issues occured related to Transpotation. However Achievers Rule or EXAM360 Team will solve your case to their best. Users are advised to go through our terms and conditions thoroughly before making any purchase, Achievers Rule or EXAM360 is not obliged and legally bound to this online purchase. 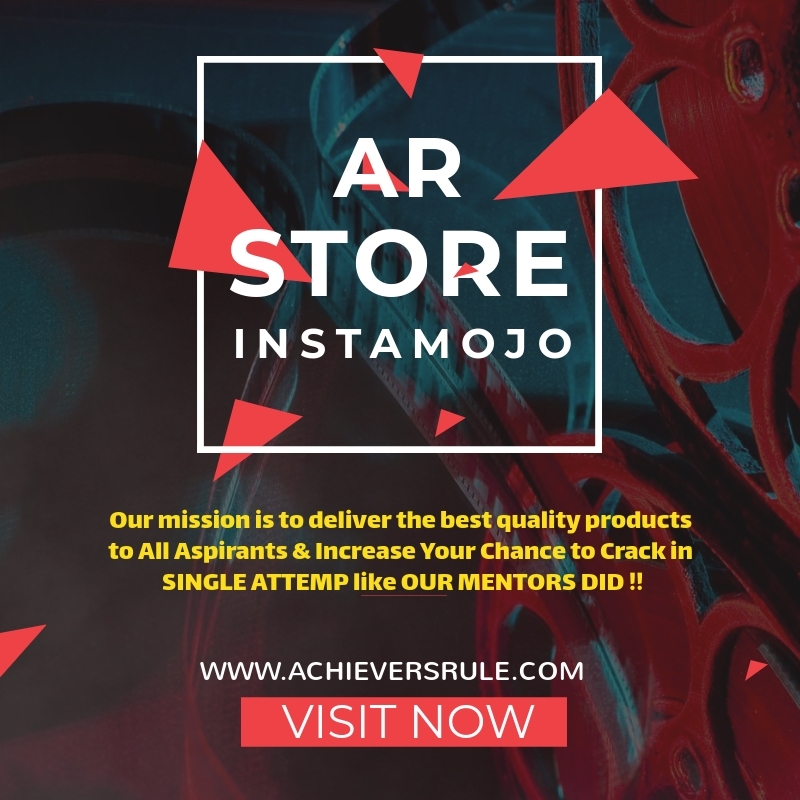 We Achievers Rule or EXAM360 Provide Free as well as Paid Study Materials, Books only through Achievers Rule or EXAM360 & by some 3rd Party E-Commerce Giant Like Amazon & Instamojo for various competitive exams. Each and every article published by us are checked diligently by our Team Management. All the articles published in this website or at various Online Store are prepared by our Support Team only with the help of sources online and offline. We never claim that the Our Study Materials/ Information provided by us are 100% accurate. But while preparing these Study Materials or Information enough care are taken by our Team Members based on their experience. Email address entered in the contact form is required for privacy purposes and will never be displayed publicly or spammed. We also request all our users dont mention your email address in the comment section to avoid exposure publicly. Although, we will try to moderate our comment section manually if possible, yet be careful. Mobile Number entered in the contact form is required for privacy purposes and will never be displayed publicly or spammed. We also request all our users don’t mention your mobile number, any personal identity in the comment section to avoid exposure publicly. Although, we will try to moderate our comment section manually, yet be careful. Users who want to disapprove any contents or find any errors at Achievers Rule or EXAM360 are requested to give your feedback through E-mail. We assure our viewers we will take necessary steps to make those completely error free and provide correct and student friendly contents. Achievers Rule or EXAM360 is completely against any spam messages and unsolicited emails. Viewers are requested not to entitled with any contents of Achievers Rule or EXAM360 for any commercial purposes. By usage of this services you agreed that to our policies. Violating these policies defaulters are subjected to respective laws and stern actions will be taken against the defaulters. All products are sold 'as is'. You assume the responsibility for your purchase. Once a payment is made it will be very difficult for our Team Management to initiate refund. So, NO REFUND will be initiated at any circumstances, if their is no fault from our end. However, your order will be shipped through Valious Logistic Partner /Courier or You will get Intimation through E-mail in soft copy to your Registered E-mail Id within 3-7 Business Days from the date of purchase. Even non usage of any particular service, does not entitled for a refund. Achievers Rule or EXAM360 will not refund any amount for which it has received the payment from its users. But for users satisfaction if any fault occured from our team then we may initiate refund, depends after validation of the case. Achievers Rule or EXAM360 Team management reserves the right to decide “Exceptional Circumstances” under which it can ‘refund’ the payment made. In such cases, the amount will be transferred online into your bank account, which may take 14 days or more (Excluding Public Holidays). If we feels the case is genuine then only our management team will initiate Refund. Our management team reserves the right to decide the Refundable amount. If you don't agree we request our users not to make any payment until you are 100% sure that you agree the terms & conditions. If we are unable to shipped your order by Logistic Partner or Deliver Soft Copy through Email or in Hard copy (If any) or Due to Limited Stock Issues in such conditions we will refund the amount within 14 days from the date of purchase, The complete process was done by our Team Management. It may takes up to 14 days or More depends upon the work load in our organisation. If any problems occured from our end, be sure we will refund the Complete amount refund. In such circumstances we we won't deduct anything. The Strict Policy is made by our team management to eliminate the FAKE Orders in which we faces many types of problems. 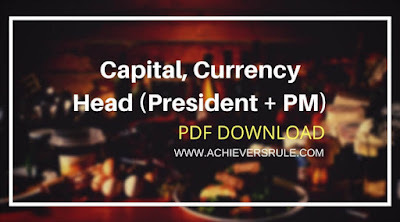 All contents prepared by Achievers Rule or EXAM360 (Study Material, Videos, Graphics, Logo, etc.) are the sole property of Achievers Rule & EXAM360. The contents provided by us may not be reproduced or modified in any ways without our written permission. These Materials (Study Material, Videos, Graphics, Logo, etc.) must not be used for any commercial uses or for personal benefits without our written consents. We Achievers Rule or EXAM360 Team honour the copyrights, trademarks and intellectual property of others website o platforms and we also expect the same from other users. If anyone found the content provided by us i.e. at (www.achieversrule.com) violates your Intellectual property rights, Ownerships, Trademark please contact us through written E-mail with your valid documents/information so as we could take necessary steps against the same.